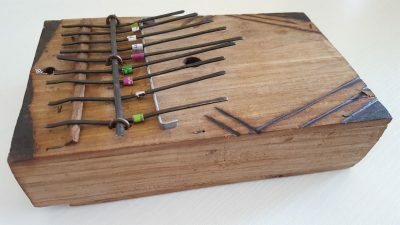 Traditional decorative African kalimba or “thumb piano”. 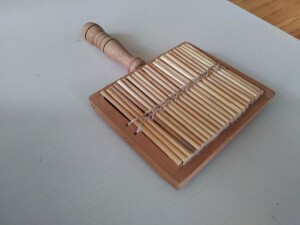 Traditional decorative African kalimba or “thumb piano”, made from a hollow box body of renewable wood with rustic burn designs. Discarded scraps of metal are used for keys with strips of tin can wrapped for reverberation. 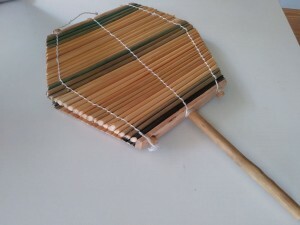 Each one is hand made and the actual item may very slightly from the product image. 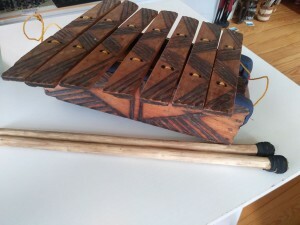 These Kalimba are made by Jedando Modern Handicrafts in Kenya.